As we age our skin loses some of its elasticity and begins to sag. 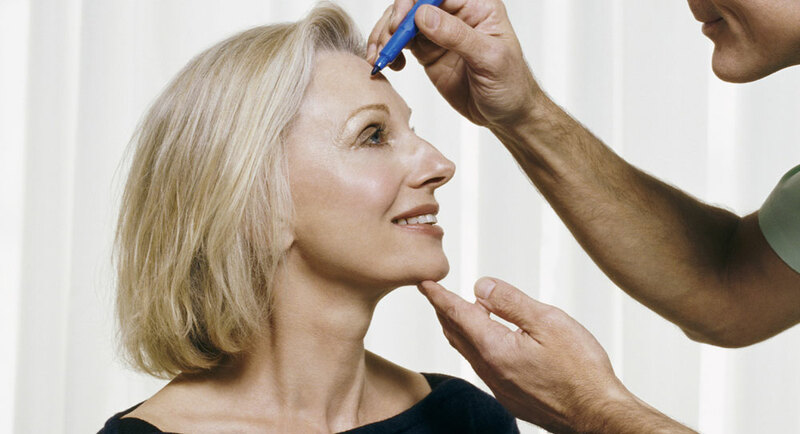 A facelift surgery accomplishes several goals. It tightens and lifts the underlying muscle and soft tissue to restore the cheeks, jawline and neck area to a more youthful position and contour. A facelift may take 10 years off of your appearance, but unfortunately does not halt the aging process. Most patients will find that their rejuvenated appearance will last somewhere between 8-10 years. A facelift will not typically improve the fine lines in the skin or skin texture. Improving the overall skin quality and wrinkles can require a skin resurfacing procedure such as a chemical peel or laser resurfacing. The facelift procedure mainly addresses the lower portion of the face and neck. During the initial free consultation, Dr. Paciorek will customize a treatment plan to fit each patient’s goals and lifestyle. There is no set age that should guide your decision about when to pursue a facelift. Surgery is the only way to minimize skin laxity along the jawline and loose neck tissue. Dr. Pacioreks’ goal is not to make everything tight but to achieve a more youthful contour to the face allowing a natural and refreshed appearance. Dr. Pacioreks’ facelift technique involves hidden incisions which are camouflaged along the hairline and along the side of the ear. Excess fat is removed and the underlying muscle and tissue are tightened, reshaping the jawline and neckline. The skin is then re-draped and any excess skin is removed. Dr. Paciorek uses a delicate touch method to minimize trauma to the facial tissues and he closes the incisions meticulously. A small drain is placed behind each ear that will be removed the following day. The procedure can take anywhere from 2 to 4 hours, depending on the individuals’ needs. It can be done with general anesthesia or a twilight intravenous anesthesia. Our highly qualified nursing staff will take care of you in our private recovery room. Most patients experience minimal discomfort after surgery. Some swelling and bruising may occur. Most patients are able to return to work after 2 weeks.